That’s right, 35 Ohms ESR. No surprise, every MIEC cap I’ve ever seen has been garbage. 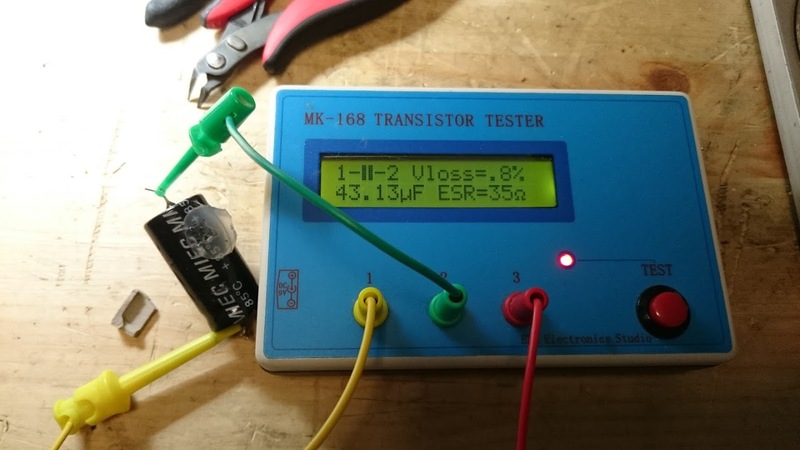 This entry was posted in Commentary, Electronics, Photos and tagged capacitor, ESR, miec. Bookmark the permalink.